7 nights. Total distance: 125 kms (average of 21 each day). Highlights: towers of San Gimignano – walls of Monteriggioni – Siena – La Collegiata. 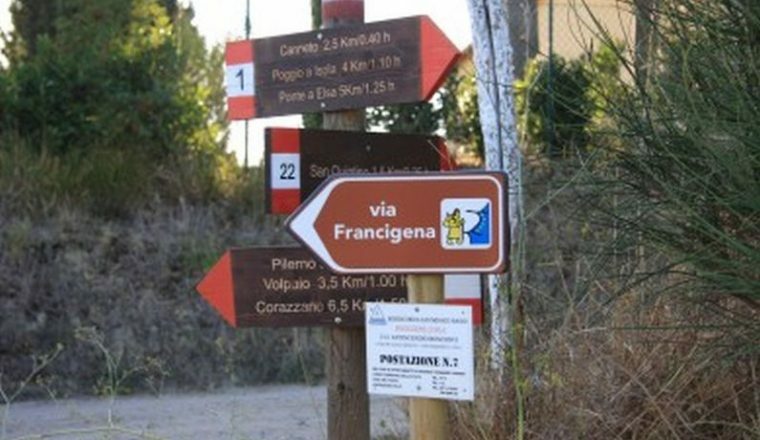 This sixth stage of the Via Francigena goes through the most beautiful countryside in Tuscany. Probably the richest week of the Francigena as far as artistic and historical remains are concerned, it passes through some of the most well known places in Tuscany. 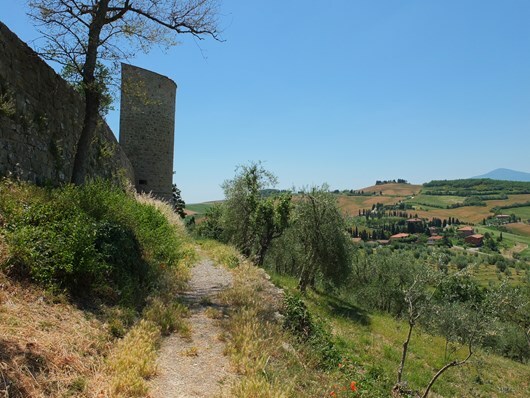 Starting in the lovely village of San Miniato, the closest point to Florence, it ends in San Quirico d’Orcia, one of the most interesting stops along the whole of the Via Francigena in Italy. 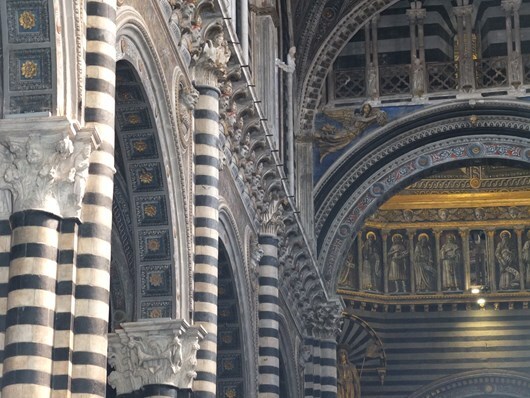 Stay in picturesque medieval small towns and historic cities including San Gimignano and Siena. If you intend only to walk one section of the Via Francigena, then this is highly recommended. Total distance: 125 kms (average of 21 each day). £660.00 per person based on 2 people sharing. Optional Extras: dinner on 5 nights £120.00 per person. Route notes and GPS maps along with informative material about the route. You can easily reach the town by train (the station is at ‘San Miniato basso’ from Florence. 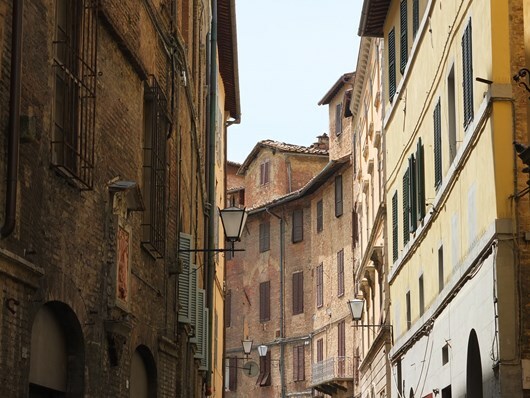 At your hotel (in San Miniato alto), a package will be waiting for you containing all the material you need for the week: hotel and meal vouchers – detailed route notes and plasticized GPS maps with a container and a map holder for the route. The hotel owner will tell you who to contact if you would like a benediction by a priest before you set out. After the first 6 km of trafficless asphalt, the whole itinerary is on unpaved roads or trails. The oak woods of the initial part give away to vineyards in the second part. Along the road you can visit two interesting churches, Pieve di Coiano and S. Maria a Chianni just before arriving in Gambassi. A short day to allow time in San Gimignano. 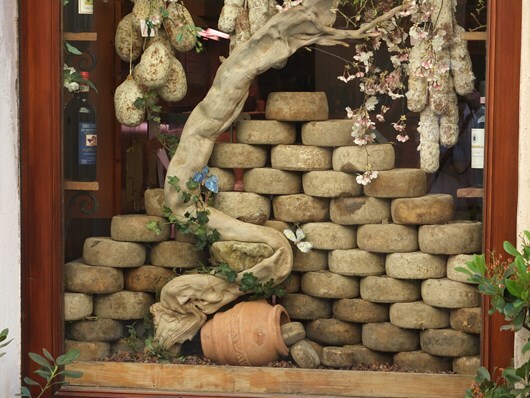 A detour allows the visit of a very interesting place : the Jerusalem of Tuscany. A group of small chapels represent the Holy land and Pilgrims visited this place at a time when the real Jerusalem was dangerous to reach being under Turkish control. 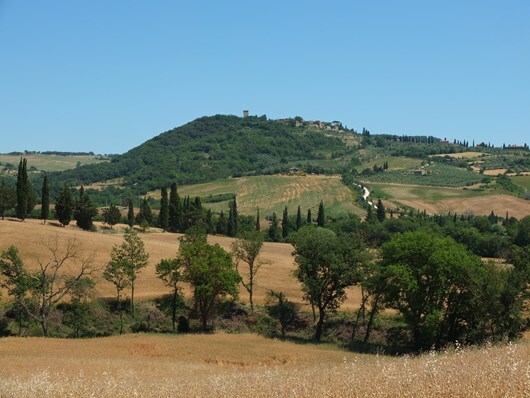 A fairly long day across lovely countryside – rolling hills, covered by the Chianti vineyards. Colle di Val d’Elsa is an interesting town where the art of blowing glass is still alive. The XI century San Salvatore church in Abbadia Isola is worth visiting while an ancient military post with its perfectly round walls is a unique sight. Mixed itinerary mostly unpaved (80%) and paved secondary roads. Overnight in Monteriggioni or nearby. 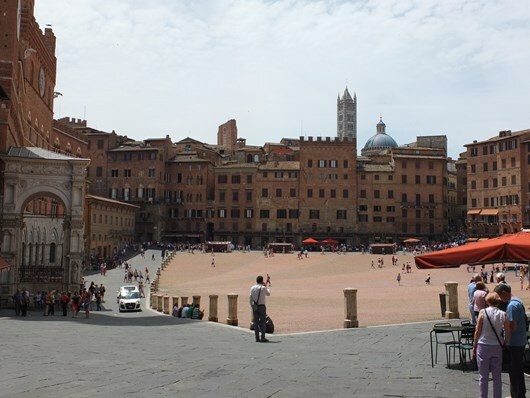 Again a short segment to allow time in Siena. The route through pleasant countryside is unpaved almost all the way. 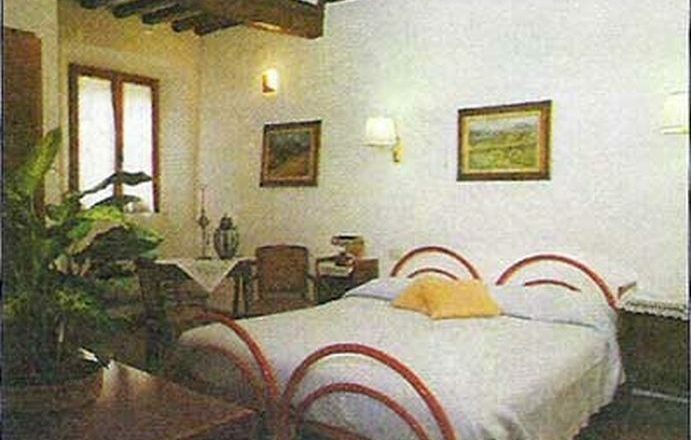 Stay right in the centre of town a few minutes walk from the Piazza del Campo. You will follow the official route for most of the day only to move slightly to the east toward the end in order to get away from the busy Via Cassia and spend the night in Vescovado di Murlo after visiting ancient Murlo, a lovely hamlet with a very interesting Etruscan museum. Generally easy terrain. The last third of the road is on secondary asphalt and follows the old Cassia. San Quirico was one of the most important stops on the way to Rome and has some of the most interesting buildings in the area with the Collegiata and the remains of an ancient pilgrims hospital. This is a sample list – if the hotels are not available a similar standard hotel will be booked and you will be informed.